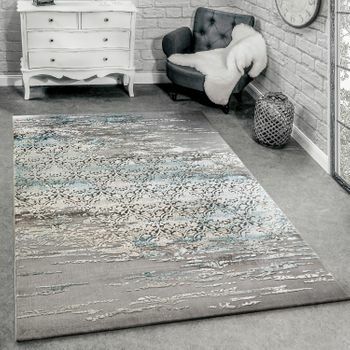 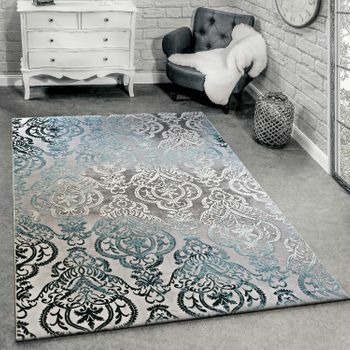 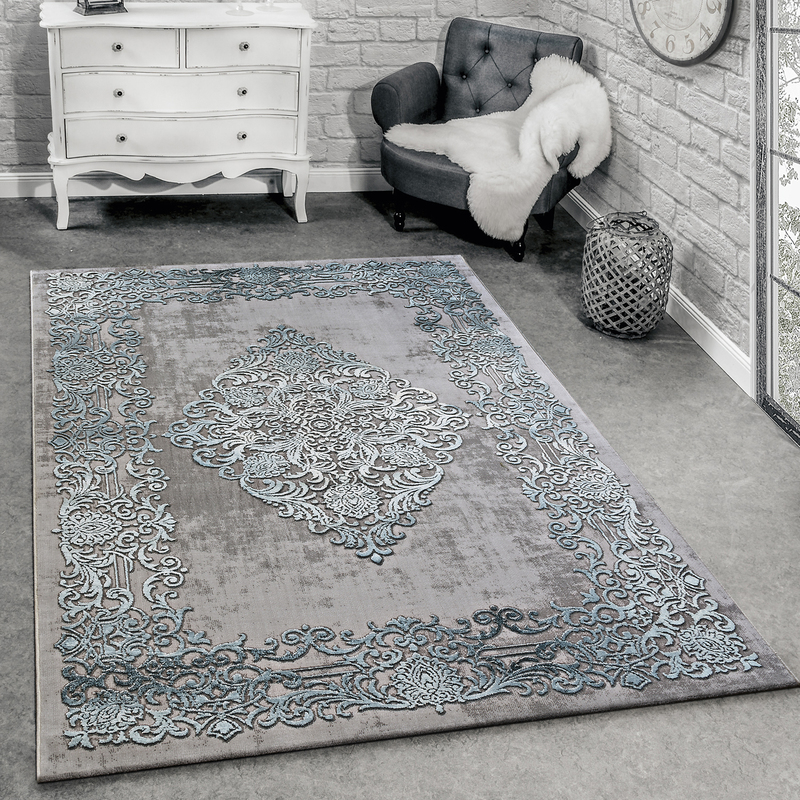 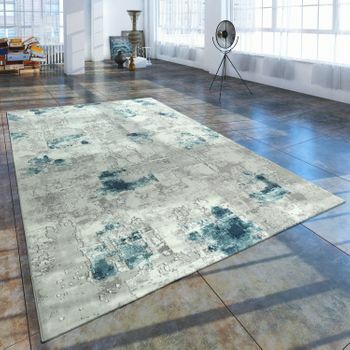 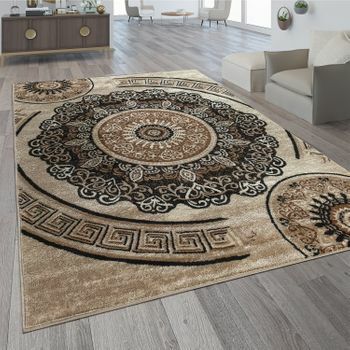 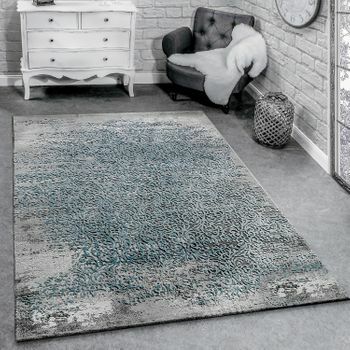 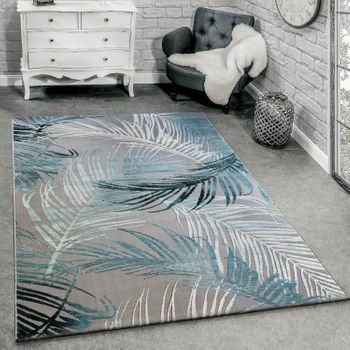 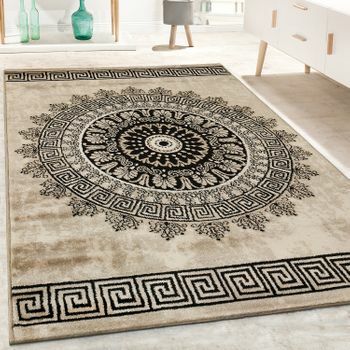 Opulent, modern and a unique eye catcher: This rug combines a classical design with an almost futuristic look, resulting from the unusual colouring. 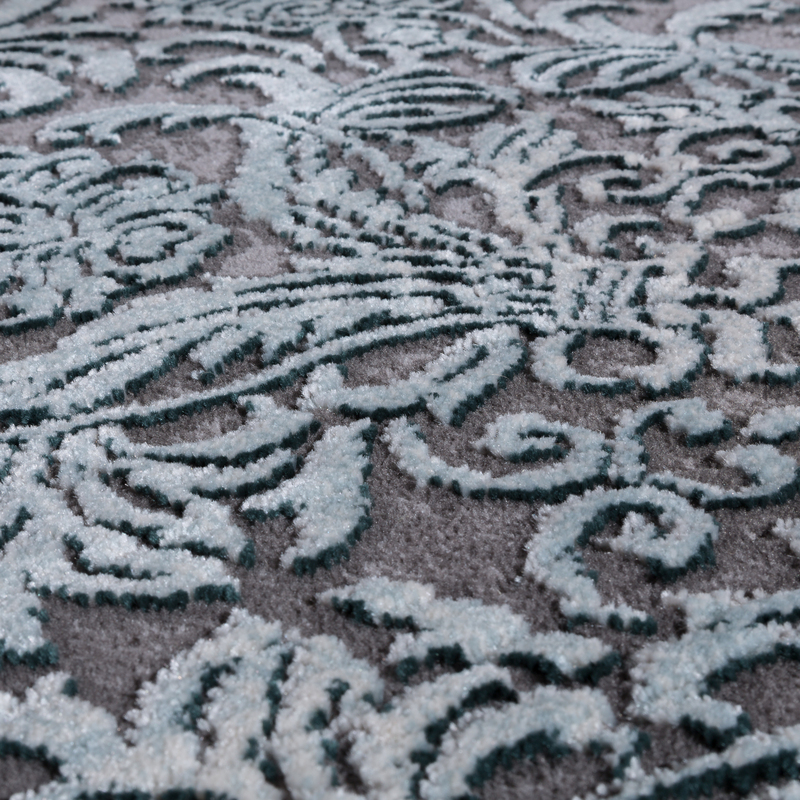 Intensively shimmering steel grey, silver, and turquoise give the ornamental pattern an elegant radiance. 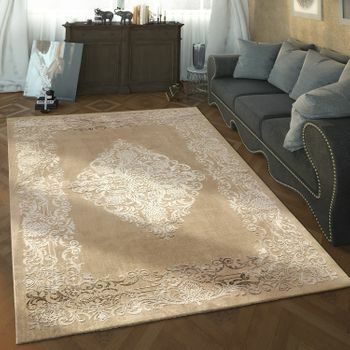 The special appearance is also highlighted by a 3D effect. 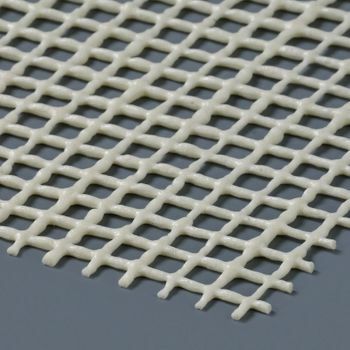 At the same time, the easy care materials polypropylene and polyester ensure a robust and durable surface. 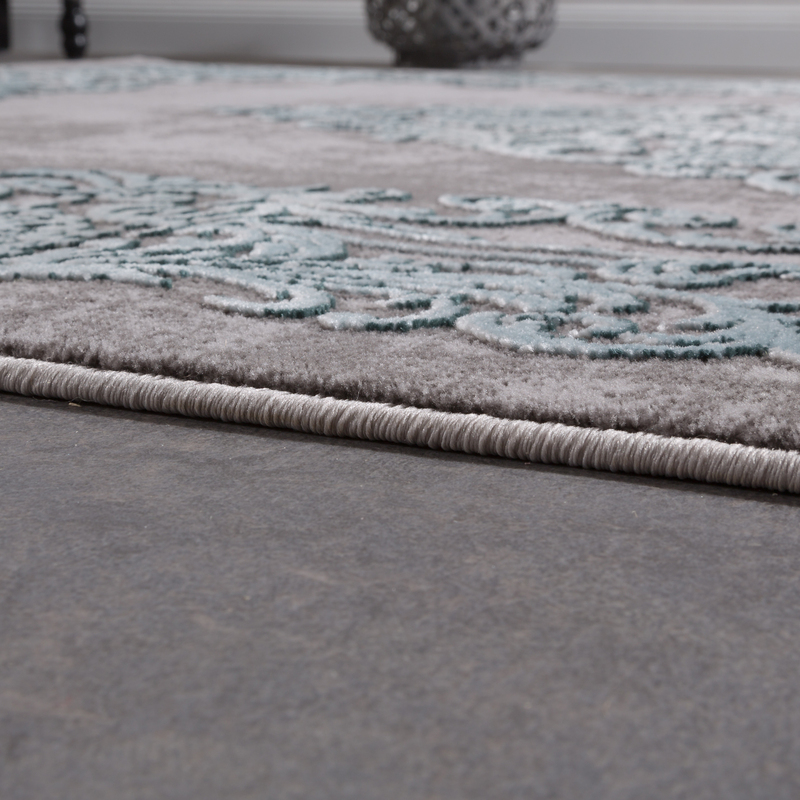 This product is also suitable for use with underfloor heating. 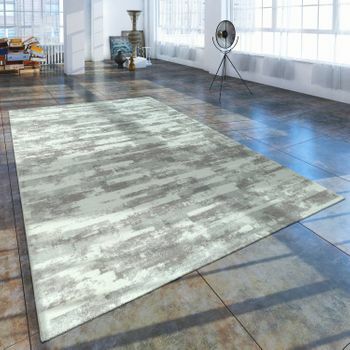 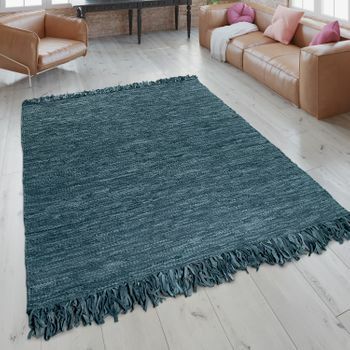 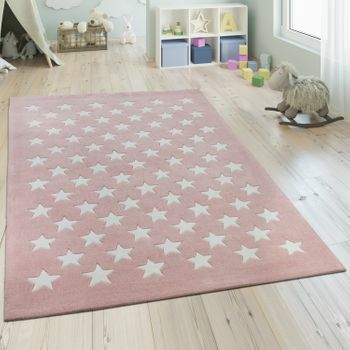 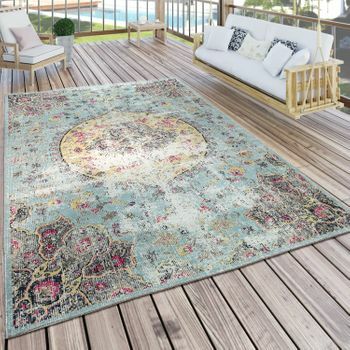 Our tip: Use this rug to create an extravagant contrast against heavy wooden furniture or enhance a design concept that plays with concrete, stainless steel, and light furniture. 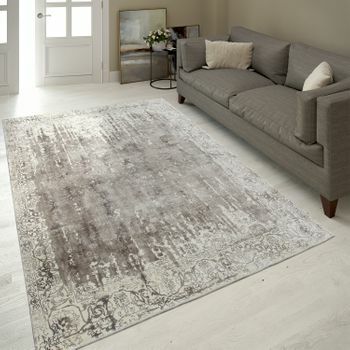 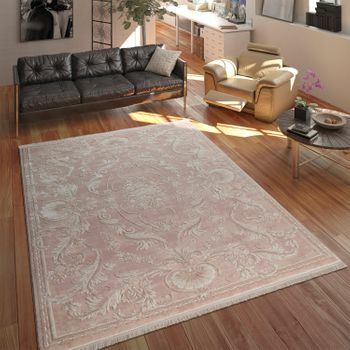 This rug looks perfect in the middle of a comfortable seating corner with a sofa and armchairs.